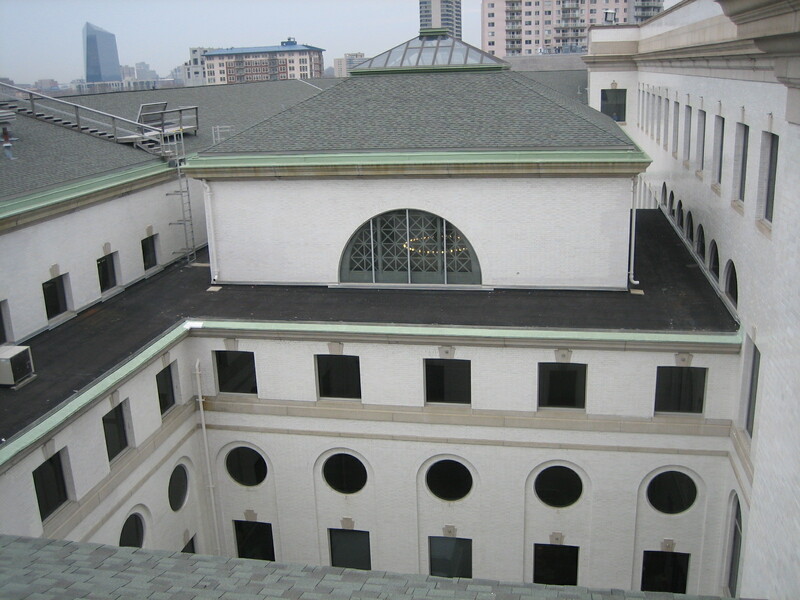 The Community College of Philadelphia occupies a former United States Mint facility. More than 100 years old, the building is on the city’s Register of Historic Places. The Project consisted of restoration of two courtyards and the monumental front entrance steps. Courtyard restoration work included comprehensive repointing of all courtyard brick walls, replacement of damaged brick, installing wall weeps, cleaning and sealant work. 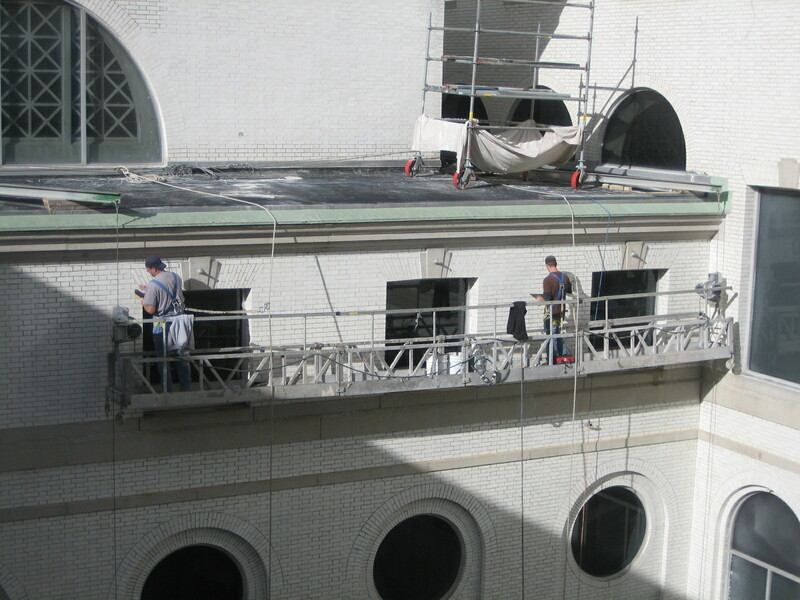 The project also encompassed the subsequent restoration of a large historic skylight. 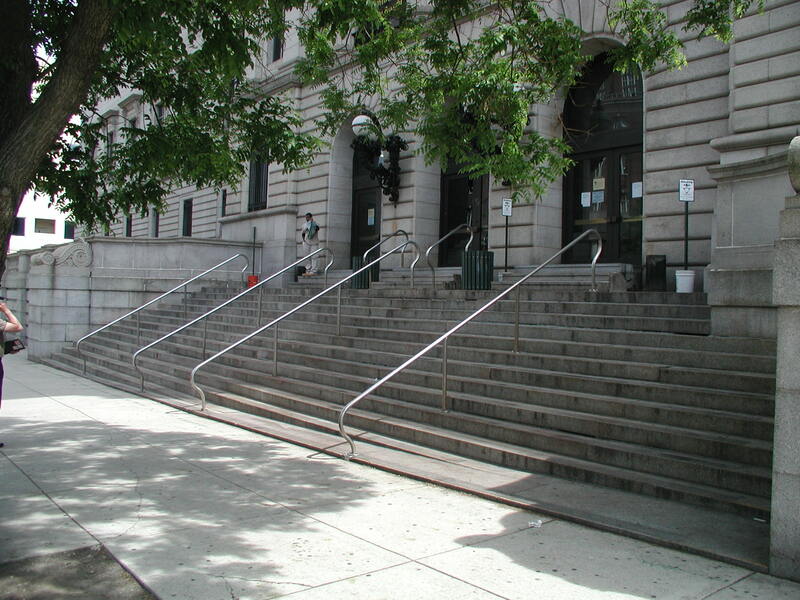 At the building entrance, all the monumental steps were removed and stored, the underlying masonry support structure repaired, and the original steps restored to their former position.